Get the Stains on Your Furniture Textiles Extracted and Their Colors Refreshed by Booking Expert Upholstery Cleaning with GCD Restoration! Improving your home and office environment is not only about remodeling your interior. It is rather about maintaining the furniture and carpets that you have already installed by cleaning the stubborn stains stuck in their fibers and refreshing their colors with the help of green detergents! Do different upholstery fabrics require different upholstery cleaning techniques? Depending on their type and level of soiling upholstery fabrics may require different cleaning methods. The two most popular options to consider are steam cleaning techniques and dry cleaning chemicals. GCD Restoration is equipped to do both but will decide which one will deliver better cleaning results after an inspection of the problem. Some of you do not believe that cleaning a stain with a team cleaning and moisture extraction equipment is much different than using a sponge and a dish-washing soap but if you do both and compare the results, the difference will be more than obvious! Professionally cleaned upholstery not only looks better but the cleaning results last longer. The protective sealants applied by GCD Restoration’s cleaners after each professional cleaning session prevent the fabric from future staining for a longer period of time. Expert upholstery cleaning will help you remove all of the accumulated grime and this way protect the colors of the fabrics as vivid and bright as they used to be when you furnished your home or office for the first time. Which upholstery fabrics does GCD Restoration Clean? Besides the obvious sofas, armchairs, ottomans, loveseats, recliners, stuffed chairs and dining room chairs, we also clean leather office furniture and van interiors! Using Organic Products Is What Makes Us Different! Protecting Nature Means Working with GCD Restoration! To learn what upholstery cleaning chemicals and techniques will work best in your case, call us at (650) 835 4447 for a free consultation! 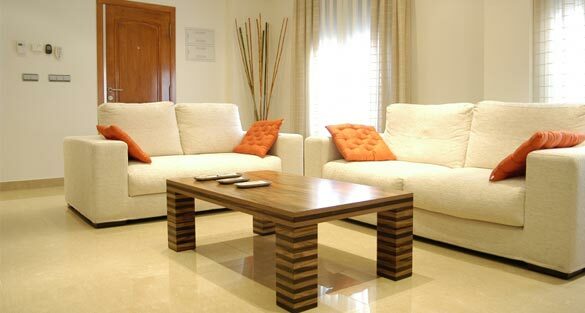 Booking our cleaning services means investing in the longevity of your upholstered furniture!